Luxury Real Estate For Sale & Rent in Spain. | SpainForSale.Properties. Luxury Real Estate in Spain For Sale. Exclusive Properties For Sale and Rent in Spain. Every Property Tells a Story. A property is always cherished, but it also transcends its material value and takes on a personal meaning. Whether it is a Villa, an apartment,… or a townhouse frequently becomes an “emotional affair” that brings to life exceptional moments. Exclusive Properties in Spain. | SpainForSale.Properties Luxury Real Estate For Sale & Rent. Exclusive Properties For Sale in Spain. | SpainForSale.Properties Luxury Real Estate For Sale & Rent. Exclusive Properties For Rent in Spain. | SpainForSale.Properties Luxury Real Estate For Sale & Rent. Are you looking for Luxury Real Estate in Marbella, Spain? SpainForSale,Properties has the best selection of the FINEST more LUXURIOUS Spain For Sale Properties: MANSIONS, VILLAS, APARTMENTS, PENTHOUSES, TOWNHOUSES or PLOTS with outstanding Sea Views, BeachFront / First Line Golf PROPERTIES FOR SALE & RENT in MARBELLA, COSTA DEL SOL and other ‘Prime Locations’ of the Spanish geography, with the best selection of Exclusive Properties For Sale on the Costa del Sol, Spain : villas and Penthouses For Sale in Marbella, townhouses and Apartments For Sale in Marbella, Marbella Golden Mile and other exclusive areas of the Costa del Sol. If you are looking for a very special and Exclusive Properties For Sale on the Costa del Sol, Spain. you can also check out our Luxury Property Real Estate which including stunning Villas For Sale in La Zagaleta and El Madronal, etc If you are looking to invest in a property on the Costa del Sol, buying good TOWNHOUSES For Sale is an excellent option. Take a few moments to peruse through @SpainForSales.Properties database of continuously updated Exclusive Properties in the most exclusive locations. Luxury Real Estate For Sale & Rent | SpainForSale.Properties. In this list you will find a selection Luxury Real Estate: apartments, sea views plots and Properties For Sale in Marbella and la Costa del Sol that are exclusively listed with SpainForSale.Properties. We take pride in representing our solely listings and wish to share this portfolio with you. We have a firm reputation for marketing high-end properties and are frequently trusted with the task of selling and finding stunning properties for our clients. 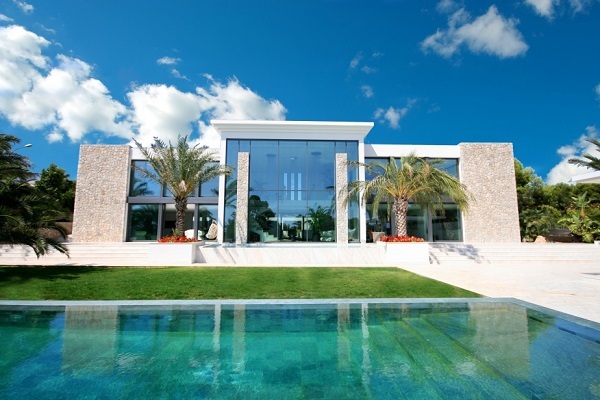 Latest Featured Luxury Real Estate For Sale & Rent in Spain. | SpainForSale.Properties. You can also use SpainForSale.Properties comprehensive property search on the top of this webpage and extend your search to find Luxury Real Estate in Spain For Sale Properties. A selection of properties offered at very attractive prices, Bargain properties for sale distressed and reduced property for sale. Just select our filters to display only the properties that best fit your needs. Our Exclusive Spain For Sale Properties will not disappoint, whether you are looking for a deluxe villa for sale in La Zagaleta or a penthouse apartment for sale in Puerto Banús, we have access to the most exclusive properties for sale in the Marbella area. For a wider selection of properties for sale you can also browse our Exclusive Properties For Sale on the Costa del Sol, Spain in areas such as Marbella, Estepona, Benahavis,.. Apartments For Sale in Puerto Banus, Marbella Golden Mile, .. where we are specialists. Alternatively, if you are looking for properties in other locations of the Costa del Sol, check out our selection of luxury properties in all Costa del Sol areas. Browse through our extensive collection and find properties which exceed your expectations, from luxury villas located in secure and sought after areas of Marbella to properties with exquisite grounds and breathtaking views. Luxury Villa Sales will help you find your perfect home with any budget. SpainForSale.Properties is considered one of the most trusted Exclusive Real Estate Agency in Marbella, Costa del Sol and other “Prime Locations” in Spain. Our Luxury Real Estate For Sale and Rent portfolio features the most distinctive Properties: from hotels and stunning plots / land to develop to Luxury Apartments & Penthouses, Townhouses, Mansions and Villas For Sale in La Zagaleta, El Madronal, Nueva Andalucia, La Quinta, Los Flamingos, Marbella club golf, Sierra Blanca, Guadalmina Baja / Alta, Los Monteros to Marbella Golden Mile, Exclusive Apartments For Sale in Puerto Banus, San Pedro de Alcantara Beach, Puente Romano, Investments in “Prime Locations”. Our mission is also our passion, helping our clients selling and buying: Real Estate & Investment Brokerage. | SpainForSale.Properties.